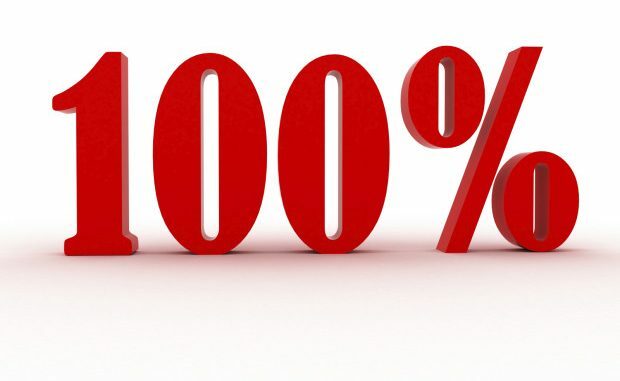 This article is titled “how to improve your results by 100%” however it might as well be titled “how to improve your results by 200, 300, 400 or 500++%” because the same rule applies. What is the rule? How do you improve your results by such a significant percentage? And even achieve that today? Double, triple, quadruple your efforts. Whatever amount of time and effort you are investing on your goal now, double it. Or more if you can. If you talk to 1 girl a week now, talk to 2 or more. If you practice tennis for 1 hour a day, practice for 2. If you study for 1 hour, study for 2. If you work on your side business for 1 hour a day, double it. If you work on your hobby for 1 hour a day, double it. To get double the result, put in double the investment. It’s simple, but not easy. Nothing worth it is easy. Don’t push yourself to hard though, you don’t want to kill yourself, but the point is more investment will equal more return. If you talk to x amount of girls a week now and are getting laid x amount of times now, simply double your efforts and you will get double the results. If you make x amount of money now, work harder and make more money. I’m glad you guys are taking action on what you want in life, which is awesome. Now that you are taking action and getting the result, do you want more of that result? Put in more action! When I was working in sales in a bank I was one of the highest selling consultants. It wasn’t because I was an expert at selling, I simply worked harder and saw more customers, instead of dragging out the enquiry like some of the other staff, I ploughed through them and quickly filtered them through to see who actually wanted a product/service. I saw almost double the customers the other consultants saw in a day and that’s how I was so successful. One of the reasons I’ve slept with more girls than most is because I put in massive effort over the years. Cold approaching, tinder, hitting up girls on Facebook, through friends, going clubbing and approaching a lot of girls. All that effort adds up and you get the result.